All Minnesota riders, we must find out the identity of the Mystery man once and for all. Im in minnesota, who is mystery man? harambe420 Im in minnesota, who is mystery man? Some Asian guy who’s been seen everywhere around Minnesota, but no one knows who he is. Jems Some Asian guy who’s been seen everywhere around Minnesota, but no one knows who he is. Yes, he’s known to have a turquoise helmet and usually wears a brown coat. Jems Yes, he’s known to have a turquoise helmet and usually wears a brown coat. harambe420 Ever seen at buck? Seem at hyland, troll, spirit, some people may have spotted his van at mt hood. Jems Seem at hyland, troll, spirit, some people may have spotted his van at mt hood. I have talked to him at spirit a few times he’s actually really chill, the reason he doesn’t talk to anyone is because he is still learning English, his parents live in China and he came over here to go to college, he lives in the cities but stays in his van most of the time because he drives everywhere to go ski and he says that he knows people call him mystery man and he just wants to be left alone. McRib I have talked to him at spirit a few times he’s actually really chill, the reason he doesn’t talk to anyone is because he is still learning English, his parents live in China and he came over here to go to college, he lives in the cities but stays in his van most of the time because he drives everywhere to go ski and he says that he knows people call him mystery man and he just wants to be left alone. IT ALL MAKES SENSE, I’ll make sure to leave him alone then. damn what does mystery man do for a living if he has all this time to travel around in a van and ski? is he also sick? wheres his season edits? 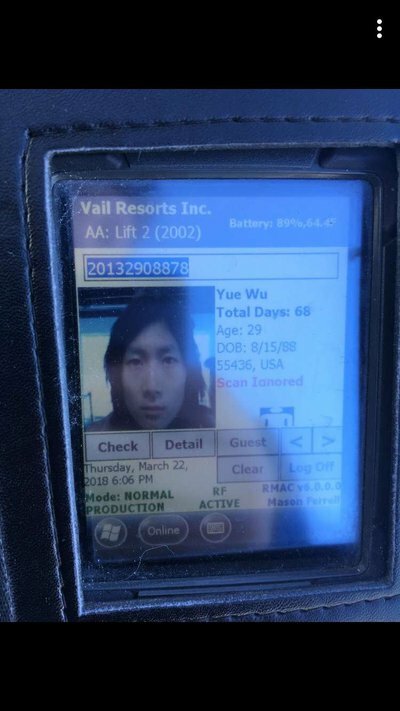 TRVP_ANGEL damn what does mystery man do for a living if he has all this time to travel around in a van and ski? is he also sick? wheres his season edits? He’s not really that good, the best I’ve seen is a kfed. Mai tai sai, that you? john18061806 He talked about how he lived out of his van and had already been in Oregon for a month. So he is a wook? At Granite you say? I'll have to keep an eye out for him. I'll probably end up asking every Asian at Granite Peak if they are the mystery man and look incredibly dumb/racist but I'm intrigued. He’s got a blueish helmet, usually has a brown jacket and I think black snow pants. He rides Tom Wallisch pro models I believe too. Gooms He’s got a blueish helmet, usually has a brown jacket and I think black snow pants. He rides Tom Wallisch pro models I believe too. DUDE! I've totally seen this guy at Granite Peak if he does ride the T-Wall pro models. I remembered thinking, "You don't see many people riding those." Someone get some footage of this dude! teamSESH DUDE! I've totally seen this guy at Granite Peak if he does ride the T-Wall pro models. I remembered thinking, "You don't see many people riding those." He’s also got kind of a wacky style and as people have said he does a lot of switch tails on that look funny. People need to stop blueballing me and film him for a season I want to see this infamous switch tails on. TRVP_ANGEL People need to stop blueballing me and film him for a season I want to see this infamous switch tails on. If I see him at Granite Peak. I'll not only get a video, I'll also get a stool sample. teamSESH If I see him at Granite Peak. I'll not only get a video, I'll also get a stool sample.